Gears, it seems, are a bit of a nuisance. There is a clutch pedal that the left foot has to depress/release with controlled effort, a lever to move in a gated fashion, and if it all works according to plan, the vehicle is able to continue moving ahead. Get it wrong, and driving a car with a manual gearbox will drive you up the wall. 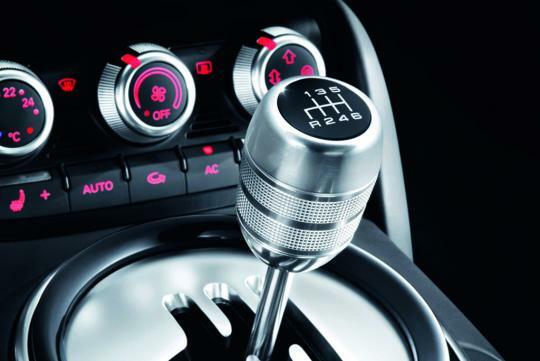 It does take some degree of skill and experience in order to drive smoothly and efficiently with a manual transmission. It can also be immensely rewarding if you master the art of gearchanging, perhaps together with heel-and-toe (an advanced driving technique that deserves its own dissection). But the manual shifting of gears is like a lost art these days, with the Class 3A (automatic-only) driving licence giving learner and rookie drivers alike an easy way out of the “three-pedal problem” since 2005. 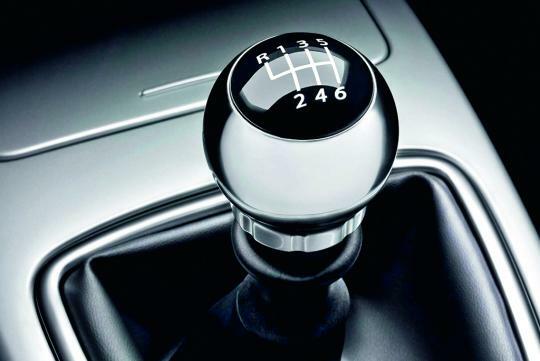 The traditional manual transmission is as old as the automobile. In its earliest and simplest form, the gearbox was nothing more than engine-driven pulleys of varying sizes on a so-called throughdrive. One of the first proper gearboxes was the 4-speeder in Daimler’s 1889 “wire-wheel” car, but it would be 11 more years to the turn of the century before the physical “box” was formed, i.e. with a single lever in a shift gate to work the gears. Engaging the gears in question was made easier and quieter in the 1930s with the introduction of synchromesh. A manual transmission uses clutch discs to transmit (hence the term) engine power to the driven wheels, with the gear stick/lever moving a collar to engage different sets of gears underneath. The shift lever is spring loaded to stay in the centre slot until a side force (i.e. your hand changing gears) is applied to the shift knob. The pivoted shift lever would then engage lugs on the control rods that slide forward or backward to move the shift forks, which in turn move the shift collars that lock a gear to the output shaft. Despite the five mentions of “shift” in the preceding paragraph, the only gear that actually shifts is the one for reverse – the other gearsets are engaged when a shift fork forces a shift collar against an already meshed gear, locking it to the rotating output shaft. The robotised manual transmission (also known as an automated manual) was a natural and logical development of the classic “self-service” gearbox. Basically, its clutch operation is performed by an electro-mechanical device, thus “removing” the clutch pedal from the footwell and saving the driver some footwork. But to minimise jerkiness on the move, he needs to make a conscious effort to coordinate the gearshifts with his accelerator inputs. Early versions of the robotised manual, such as the 1997 Mercedes-Benz A-Class’ automatic clutch system and the 1994 Saab 900 Turbo’s short-lived Sensonic, still require the driver to make gearchanges with a H-gate lever. Based on the movement of said lever, the position of the throttle pedal and the engine speed at that point, a computer recognises when the driver wants to change to a higher/lower gear and then an actuator will automatically open and close the clutch using electro-hydraulics. The robotised manuals that came later, such as Alfa Romeo’s Selespeed, Opel’s Easytronic and Ferrari’s exotic “F1” transmission (launched in the F355 Berlinetta), still do not function anywhere as smoothly as a conventional automatic, but they at least offer semi-auto convenience plus the ef¿ ciency of a good manual gearbox. It’s cost-effective, too, compared to a typical torque-converter automatic transmission. Today’s state-of-the-art in robotised manuals is the dual-clutch transmission (DCT), popularised by the Volkswagen Group in a massive variety of models that range from the humble Polo to the spectacular Bugatti Veyron. Smoother and significantly faster than the automated single-clutch system covered earlier, the DCT is conceptually similar to an automated manual because it is made up of paired gears in mesh and has a clutch arrangement to couple with the engine. 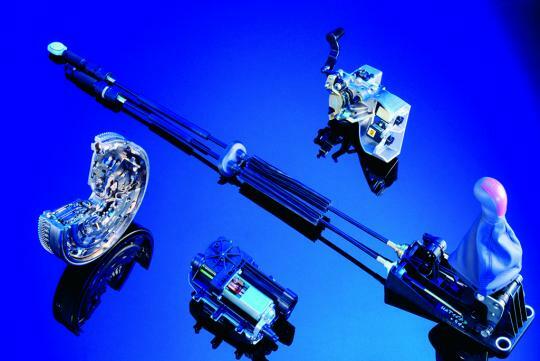 The DCT is costlier and more complex though, with a pair of clutches, each mounted on one of two concentric shafts. Only one clutch is engaged at any one time, although two gears can be selected simultaneously, hence a gearchange becomes effectively just the disengagement of one clutch and the engagement of another. This results in a seamless delivery of power. Despite the popularity and proven technology of the dual-clutch transmission, the single-clutch automated manual is still very much in business. And what a business it has been in recent years, with Ferrari, Lamborghini and Lexus using a robotised manual gearbox for their supercars – 599 GTB/GTO, Murcielago/ Aventador and LFA respectively. The internals of these “super” transmissions are no different from those of a conventional manual ’box, but their shift speeds (thanks to rapid-response actuators) are a match for the DCT and, more crucially, quicker than even the most skilful driver. Meanwhile, the pure manual gearbox continues to exist. Europeans, especially, still love their clutch pedal-and-gear lever, so there is a wide choice of cars and vans available in Europe with 5- or 6-speed manuals. Now, there is also a 7-speed manual gearbox, but it’s a rare thing, with currently just two cars in the world so equipped. Unsurprisingly, both are sports models – the Porsche 911 and the Chevrolet Corvette Stingray. Seven gears mean the first six gear ratios can be stacked closer together, while seventh can be “sized” as a cruising gear to keep engine speeds low at high road speeds. Of course, there’s a limit to how low the revolutions-per-minute (rpm) can go, because the engine has to operate at a speed where enough torque is produced to overcome resistance, especially aerodynamic drag and ascending inclines. On a deserted country road with undulating terrain and plenty of curves, where short bursts of acceleration and frequent downshifts are the norm, these 7-speed sports cars are likely to be driven with only six or maybe just the first five gears. Seventh is fi ne as a fuel-saving highway ratio, but having/managing 8 or 9 speeds in a manual gearbox can be quite tedious, which is why we may never see a manual transmission with more than seven forward ratios. In the case of Porsche’s “991” 911, a built-in gearbox lock-out ensures seventh gear can only be selected via sixth or fifth. Regardless of its gear count, the good old manual transmission will keep going for many years yet, thanks to its relative simplicity, comparative low cost, minimal maintenance requirements and almost endless service life. This article was written by Shreejit Changaroth, freelance writer for Torque. Good reads! Always like this kind of article. Can learn and understand more about automobile. . . . Still reminiscing about my old nissan march. Not powerful, but the manual drive give me lotsa fun!